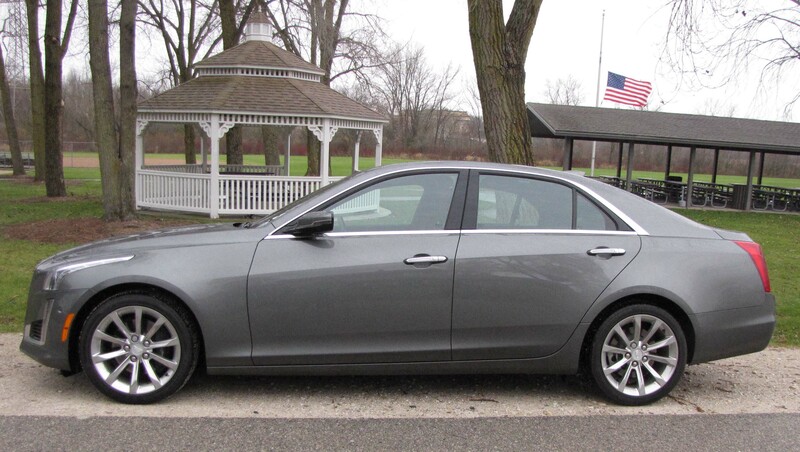 Cadillac’s CTS remains one of GM’s biggest success stories and for good reason. 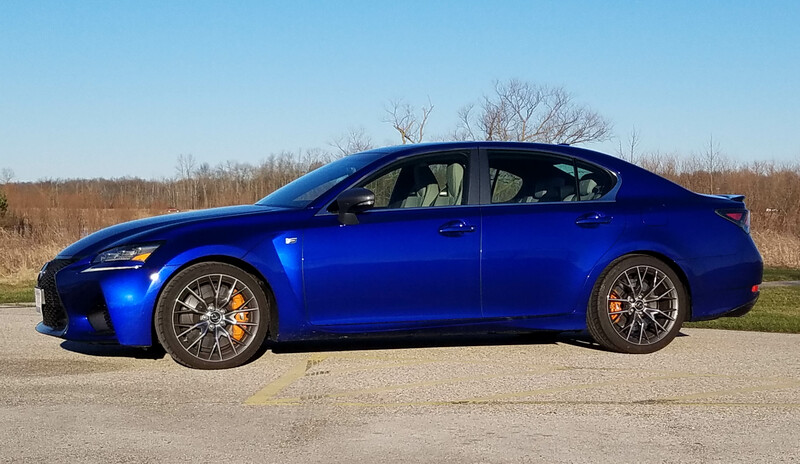 The mid-size sport sedan features edgy styling and handles like a fine European sport sedan, but with better ride characteristics and now, all-wheel-drive. The dark metallic gray test car was the CTS AWD 3.6L Premium Collection, which is a long way of saying its the upscale version with AWD. Same well chiseled profile, long and wide hood, mouthy grille and slender retro vertical taillights. The car looks, and feel, upscale. 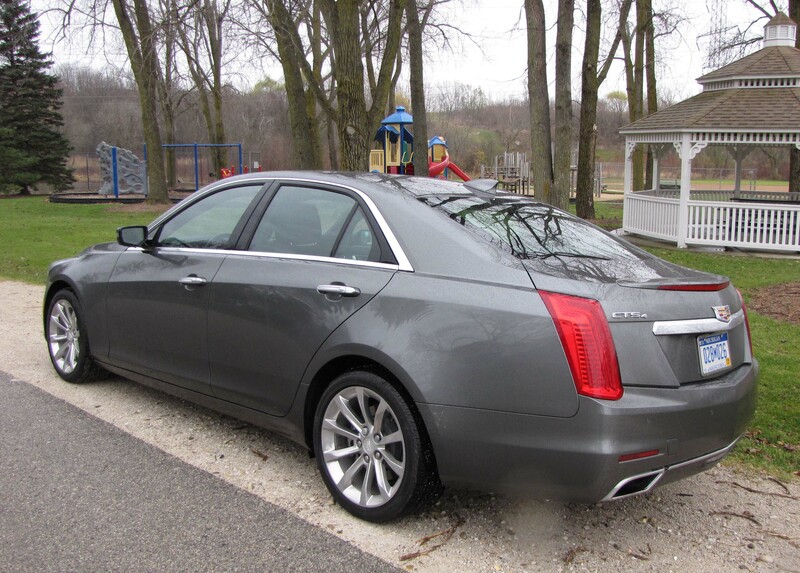 What I like, and I’ve said it before, is that Cadillac delivers performance and luxury in equal doses. Standard in this model is the strong 3.6-liter VVT V6 with auto start/stop. No turbo, and it still gets 335 horsepower and creates 285 lb.-ft. of torque. 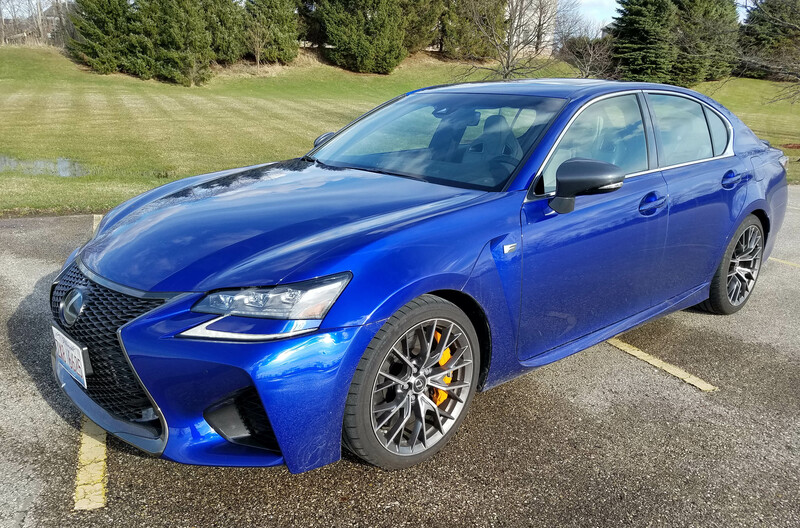 Others may crank up more ponies and the turbo versions rock like race cars, but this has good power to get the car up to highway speeds in a flash, but with a smoothness befitting its luxury nameplate. My generation may have been having fun, fun, fun till our daddy’s took our T-birds away, but since 1989 the fun, fun, fun has mostly been provided by Mazda’s Miata. 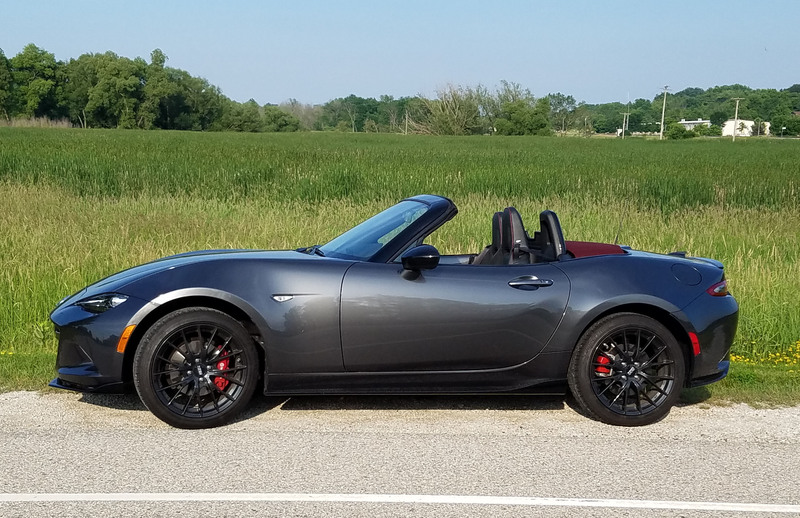 Lyrically it’s not the same at all, but the feeling continues to be the same and the nearly all new and slightly smaller 2016 MX-5 Miata continues the tune. I’ve run out of superlatives for the car that was my first Zoomie Car of the Year Award winner back in 1990, just after the original hit the streets. 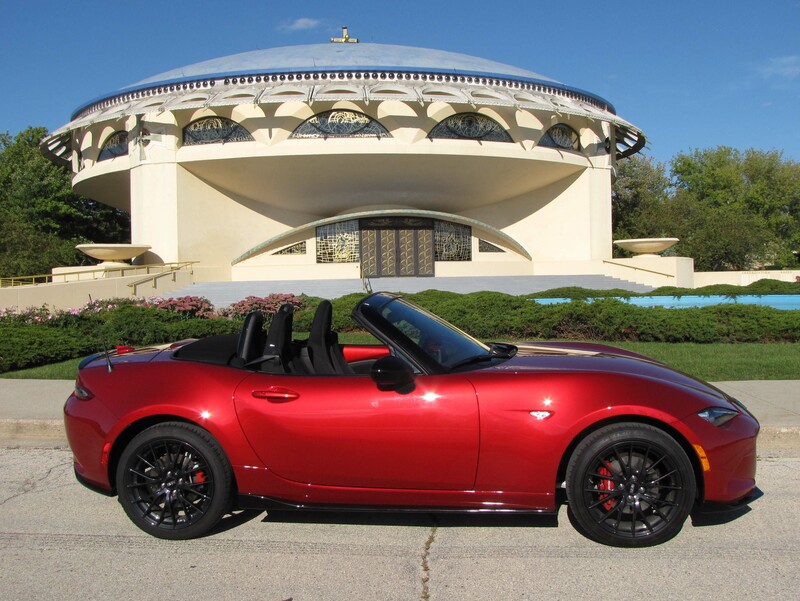 Miata reinvented the fun, affordable two-seater. Back in the 1950s and ‘60s there were MGs, Sprites, Austin-Healeys and Triumphs. Today, as in 1989, there is only the Miata in the small roadster category, at least starting at less than $30 grand. Mazda continues to keep the car simple and slips it back closer to its roots by downsizing it in every way, except driving excitement. 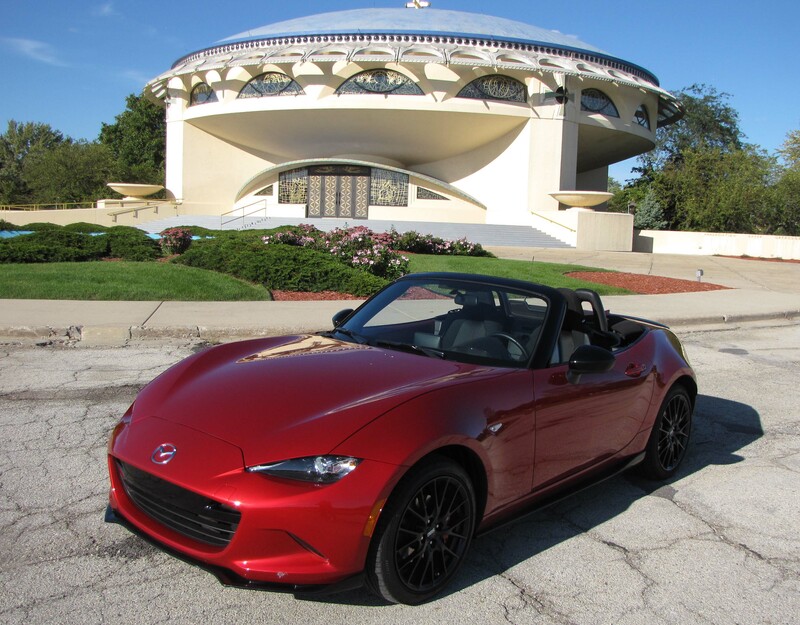 The Miata is a work of art, just like the Frank Lloyd Wright-designed Annunciation Greek Orthodox Church in Wauwatosa. The new car rides on 1-inch less wheelbase, is 6 inches shorter in length, loses 0.5 cubic feet of trunk space and drops about 250 lbs. Even the engine’s horsepower is down a smidge to 155 horses. The result is a superbly balanced sports car that remains light, peppy and easy to throw around curving country roads, or winding city streets. 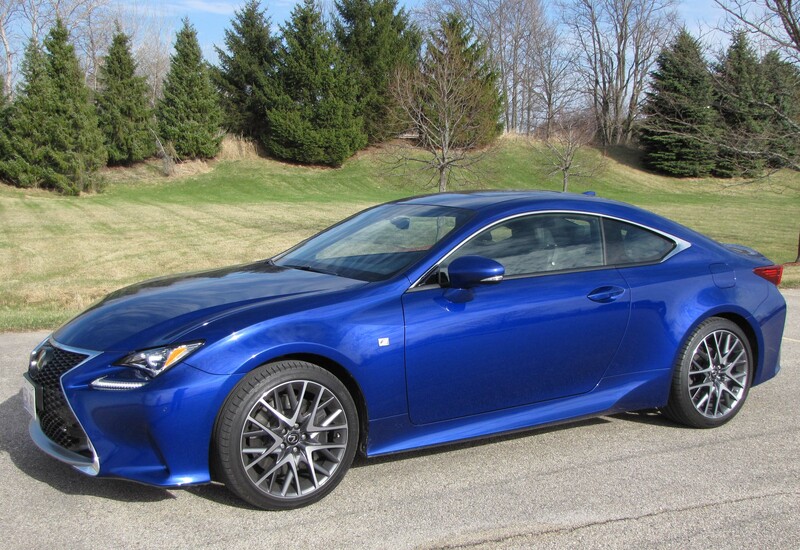 Lexus cars always look luxurious, rarely racy, until now. Lexus stylists have cranked up their angular mojo to create their first truly sporty looking sports coupe – the RC 350. I’ve read or heard all sorts of jawing from other car writers that the RC isn’t racy enough, sits too high, has too big and bulgy of wheel wells, won’t break the sound barrier, etc. Let me tell you that’s hogwash – except the sound barrier thing. 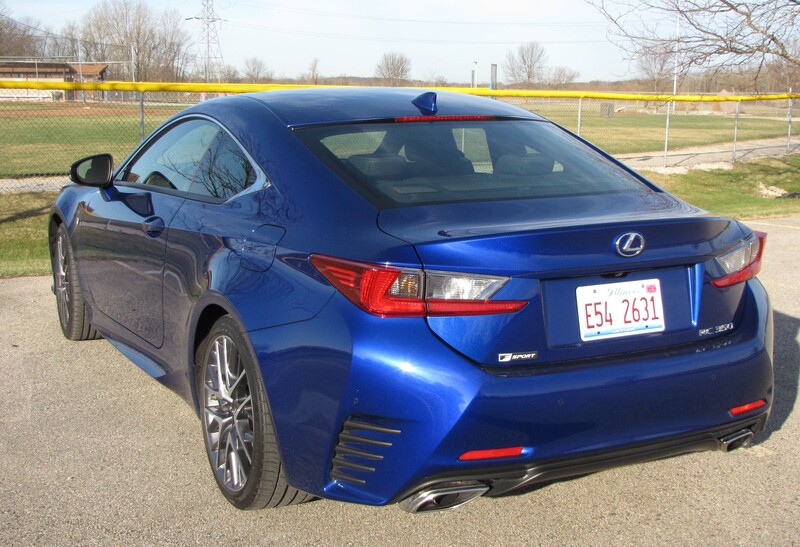 First, the RC is exceptionally good looking with a rakish stance, sleek sloping windshield and roofline, extreme spindle grille that Lexus has made its trademark of late, and slim beautifully sculpted lights front and rear along with fins on the lower rear bodywork. Plus those twin exhausts sound pretty sweet. Yes, this baby would look fast in a car wash! Speed, handling, ride and performance are all first rate. One could argue that this isn’t as track worthy as an off-the-truck Porsche, but it’s a street racer of distinction. And by that I mean it’s plenty fast, sounds like it means business and handles like a high-end sports coupe. It’s not an $80 to $100 grand racer, it’s a $42,700 sports coupe and as tested with the F Sport package and other goodies, hits $54,815. That’s not cheap, but it’s not so pricy you’ve got to sell the house and kids. Cadillac has a hit on its hands with the compact luxury ATS sedan, and now there’s a sporty coupe for you to tuck in your garage next to the 4-door. That’s certainly Cadillac’s hope. Its marketers are looking for a lot of well-off younger buyers opting for one of each, as both are fun and modestly priced in the entry-level compact luxury sport market. My previous ATS sedan test was mostly favorable, so I wasn’t surprised at how much I enjoyed the “majestic plum metallic” (metallic grayish purple) test coupe. This was the 2.0T RWD Premium model, so closer to top-end than bottom.